In the last half of the 19th century, Williamsport, Pennsylvania claimed more millionaires than any other American city. With a population of just under 30,000, there is no city of similar size within an hour drive. There’s one small airport, which only offers commercial flights to one city (Philadelphia). The Susquehanna River divides Williamsport and South Williamsport. Although most of the tourist attractions are located in the city of Williamsport, the most famous institution associated with the area is located in South Williamsport. Williamsport claims to be the birthplace of Little League Baseball. Every summer, the city gets flooded with baseball fans attending the annual Little League World Series. 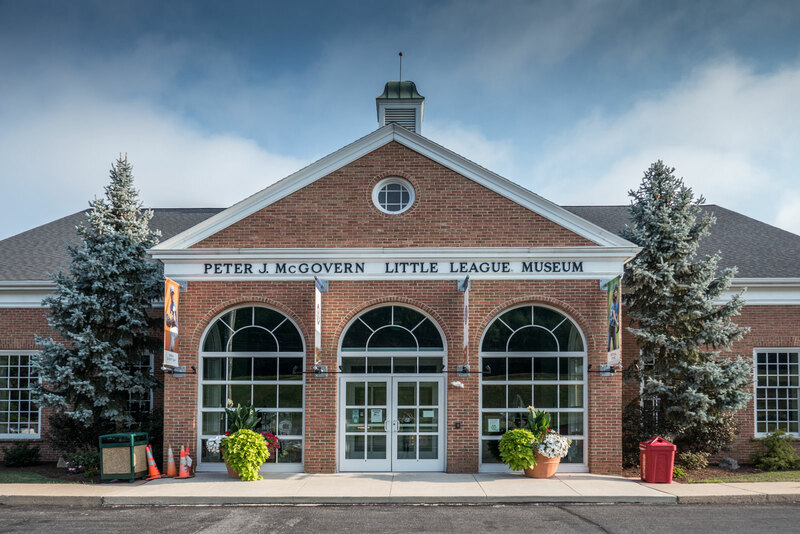 The World of Little League Museum has ample parking on Route 15 North. Tours of the World of Little League Museum start with a brief orientation video. Inside the museum, highlights include timelines of both Little League and the Little League World Series as well as uniforms spanning the past 75 years. One hour is plenty of time for most visitors. General admission is $5, but there is no charge to view the grounds behind the museum, which include the 40,000-seat Howard J. Lamade Stadium as well as Little League Volunteer Stadium. Lamade Stadium hosts the Little League World Series. If you visit any other time than during the World Series, it’s hard to imagine the madness that surrounds the event every year as more people attend than live in the city of Williamsport. The Peter Herdic Transportation Museum is west of Millionaire’s Row (West 4th Street) and the murals across from the historic Genetti Hotel. 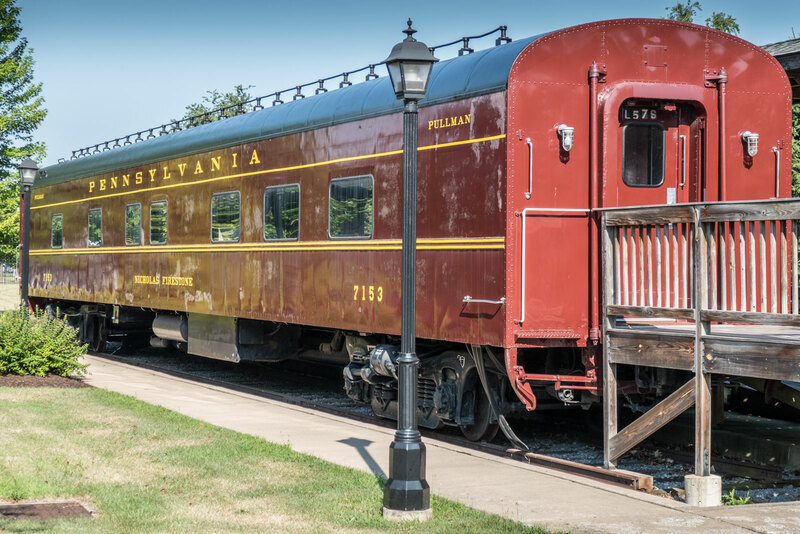 Inside, there’s a slideshow on the history of transportation in Lycoming County (Pennsylvania‘s largest) as well as information on the area’s role in the underground railroad. Out back there’s a Pullman Parlor rail car, which the museum claims to be one of only two remaining in the United States. Visitors can go inside. The Thomas T. Taber Museum of the Lycoming County Historical Society has exhibits on Lycoming County’s Native Americans, lumber industry and contributions to the armed forces. There are also period rooms which take the visitor back to the times of British colonialism and up to the present. Downstairs, there’s a toy train exhibition, which contains over 300 toy trains as well as two working layouts. The other basement room is dedicated to farming crafts and industry. Hiawatha Riverboat Cruises run from May to October. Susquehanna State Park (where the paddlewheel boat docks) is one of the most picturesque in Pennsylvania. The public cruises are narrated and take approximately one hour. There are also specialty (concert, dinner, karaoke, murder mystery, wing night, etc.) cruises which run less frequently. Bowman Field is the second oldest minor league ballpark in the United States. It is home to the Williamsport Crosscutters, which are a class-A short season affiliate of the Philadelphia Phillies. Their schedule runs from mid-June to early September. Compare hotel prices, read reviews and book your Williamsport hotel at TripAdvisor! It sounds like Williamsport is quite a unique place to visit. I must admit that I have never heard of it before. The paddle-wheel boat is awesome. I had no idea any of these were still running. Would love to check out the Little League Baseball Museum. It seems like Williamsburg makes a worthy stop during a Pennsylvania roadtrip! Williamsburg is in Virginia & NYC ? Thanks. Part of the reason I did an updated post was because I have a real camera now lol? It’s a “city” but has a small town feel. I didn’t realize the towns history of so many millionaires. Nice to hear about lesser known places. Great pictures! Never heard of Williamsport before, but sounds like a peaceful city that’s big on baseball/sports. The cruise seems like something I would be interested in! The riverboat cruise sounds like fun. I’m heading to the East Coast in the Spring so I might have to drop by. Love reading about places of noteworthy history. The river cruise looks awesome. Wow, what a gorgeous place. I’ve never been to Williamsport PA but I did used to live in Beaver PA. That riverboat is calling my name. I’d have a blast on it. To be honest, I have never heard about these places, but they seem interesting. It’s great to see a city steeped in history and tradition. I think that’s what makes it so charming. Sounds like there are quite a few interesting things to do in Williamsport that will fill up your day. I didn’t hear about this place before but I never traveled to the US before. It doesn’t matter how many times I read this kind of post, my world explorer inside is always making noise. I have never been there but surely sounds amazing and if I am lucky in the future I will be able to travel a lot! Thanks for sharing your experience! You are awesome. The museums does it for me, just like nicolas said, you are awesome for sharing these experiences of yours. So much to do in what is quite a small town. Looks like a really nice vibe from you fabulous, as always, photos. Williamsport is not somewhere I had heard of previously but I would love to visit, especially for the museums. I think visiting Williamsport would be a lot of fun. It seems like there is a lot of history to the town! I’ve never heard of this place before either! Sounds like a lot of travel bloggers are visiting locales closer to home. Great to learn about places in the States! It would be nice to go here for the museums! There’s so much to learn and it’s always great to learn more about the history of a place. I would also love to try that riverboat cruise! Pennsylvania sounds really nice! I would love to travel around the world. I especially liked Hiawatha Paddlewheel riverboat cruise, I love taking photos from boats. This seems like such a nice place to visit! Very relaxing. Never been to Williamsport, but it looks like a great place to visit. I would take that boat trip straight away! Williamsport is so beautiful city even if it is so small! Love the first photo with the boat! Simply amazing! What does the Hiawatha means? Looks like such a beautiful, quaint little town. A little quiet for my taste maybe, but it seems like a really relaxing and peaceful place to visit. I’m not so much of a baseball fan but I would definitely enjoy visiting the other museums, the historical time and definitely go for a ride on the river boat! It looks like there’s a lot of history to be found in this town! I’ve never heard of Williamsport, Pennsylvania. Looks like a charming city. I think Pennsylvania is a beautiful state! I’m excited to be going to Philadelphia this Labor Day weekend. But I’ve never heard of Williamsport. I’m all about small town travel. This looks like a great small town to explore. I’d love to go on the paddle boat cruise. This city looks very charming and cute!Very interesting article about a very historical place! This looks like a wonderful place to explore! I’d love to check out Susquehanna State Park. I really need to make it to Pennsylvania. Would love to visit the place. I’m fascinated about the paddleboat and the train. I can’t wait to see them! Is this your hometown? The slideshows are great! This is about 75 miles west of where I grew up. Glad you like the pics, Barbara! Visiting small towns is always a pleasure. You learn so much about people. And I would like to learn more about Baseball. I think this is amazing! I’d love to visit here! Museums and cruisers make a good combination – I would definitely visit!